If you’ve been keeping up with our blog the past few days, you already know that we’re celebrating World Breastfeeding Week. 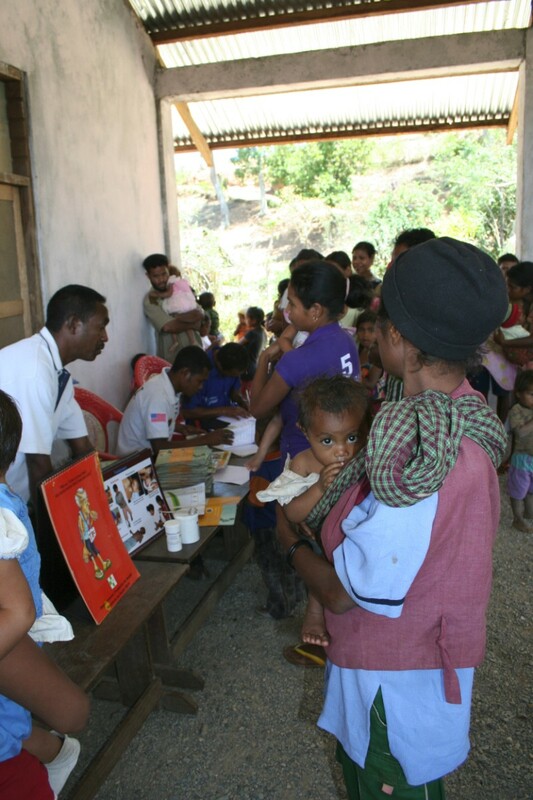 We’ve discussed the health benefits to mother and infant of breastfeeding, the needs of HIV positive mothers who are breastfeeding, and HAI’s work around maternal and infant health in Timor Leste. In today’s post, former HAI intern Lisa Niemann explores the different issues that women face when deciding whether and how long to breastfeed their infants. If exclusive breastfeeding can prevent malnutrition and illness and bring down child mortality worldwide, why aren’t more women breastfeeding their babies? This question will be the focus of our last two posts this week. We’ll explore different challenges women face, depending on where she lives and what resources are available to her. Everywhere, the decision is interwoven with forces of power, socioeconomic class, labor, and gender. While breastfeeding may not be the optimal choice for every situation, the choice is too often obscured by external influences. One such influence is the baby formula industry. During the 1950s and 1960s, baby formula companies began aggressive and manipulative marketing campaigns in the developing world. Corporations targeted new mothers, encouraging them into using their products through exaggerated advertisements that claimed it was healthier than breast milk. Companies would provide free samples to mothers, who would then stop producing their own milk while they used the samples and become dependent on expensive formula. Packaging sometimes offered instructions in languages not spoken in the countries in which they were sold, which made it impossible for women to know the correct ratio of how to make the formula and could lead to serious health problems for infants. These manipulative marketing practices came to public attention during the 1970s, to much public outrage, especially among the public health community. 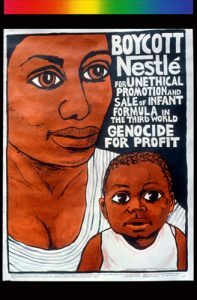 The reports sparked an international boycott of Nestle, one of the largest baby formula companies, though certainly not the only one engaging in unethical practices. The boycott lasted until 1984, when the WHO adopted a resolution that created the International Code of Marketing Breast-Milk Substitutes, which Nestle agreed to sign. It calls for strict limits of marketing and offering samples to pregnant women, mothers and health care workers and provided rules on the appearance and content of labels and packaging of formula products. This was a major victory for breastfeeding advocates. However, over the years, attention to this issue faded, and the formula companies found new ways to pursue aggressive marketing techniques. A 2007 article in the Guardian revealed many Code violations committed by several large formula companies in Bangladesh. Other monitoring projects have found similar violations elsewhere around the globe. Perhaps this rise occurred because public attention for the issue waned, and it may have been aided in part by the AIDS epidemic, which in earlier stages caused health workers to recommend that HIV positive women not breastfeed for risk of spreading the disease to her baby. 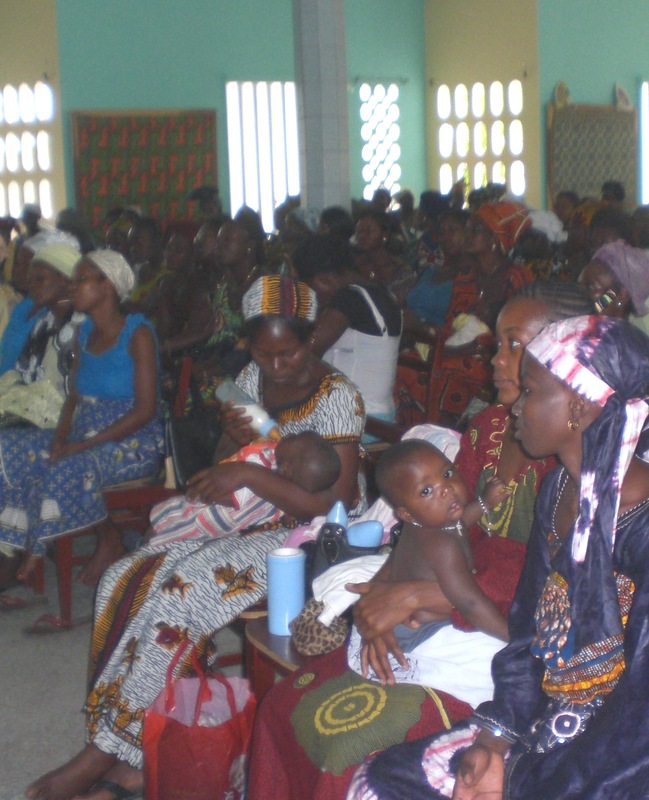 (Read more about HIV/AIDS and breastfeeding in our post from Tuesday). Either way, formula companies are back, pushing their products at health clinics and with new mothers, making misleading statements about their formula. These companies seek to maintain their $25 billion annual profit from formula sales, even though many of the women in developing countries who are targeted by this marketing can barely afford it. The problem of aggressive formula marketing is compounded by the shortage of health care workers in the developing world. Breastfeeding takes skill and practice; it does not necessarily come easily to mother and infant. The presence of skilled health professionals to provide advice and counseling on the process can make a huge difference, but in many parts of the world there are not enough health workers who can provide this kind of care. Formula companies fill in the gap with promotions of their product. Mothers who are struggling to breastfeed and have no one to whom they can turn for advice will logically choose to switch to formula. This is why the HAI model of partnering with Ministries of Health and working in solidarity is so important. Without a strong health system, women – wherever they live in the world – will not receive the support they need when it comes to breastfeeding. Are you concerned and passionate about this issue? You are not alone. Many breastfeeding advocacy campaigns are still working to stop these marketing practices. Formula companies must stay in the scrutiny of public attention to ensure their practices adhere to international code. 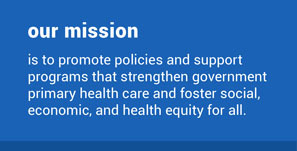 If you are interested in learning more about advocacy on this issue, you can explore the work of organizations such as UNICEF, World Alliance for Breastfeeding Action, United States Breastfeeding Committee, and many others. Read more about HAI’s support of health workers on our website or on the NGO Code of Conduct page. Tomorrow, we will wrap up the week with a discussion of women and the workplace. Stay tuned!